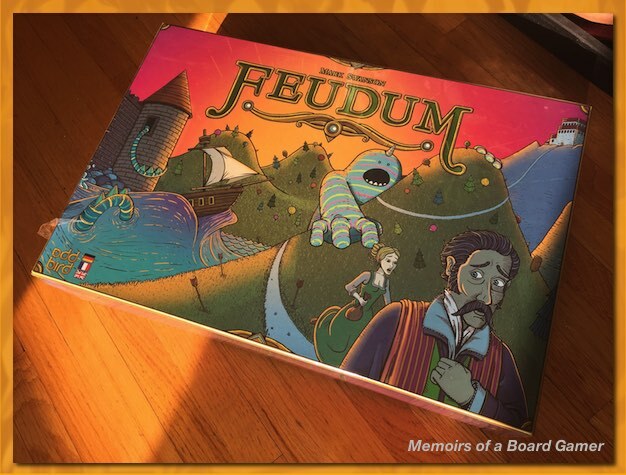 Goodbye Feudum – Have a Good Life in Canada! After watching a few play-through videos on YouTube I was convinced it was not going to be a good game for my group. 45-90 minutes to teach?! Wow. Not happening. So, off it went. I think I got pretty lucky finding a buyer in Canada with a US postal address that was willing to pay the extra $35 shipping (!) to get the game. Plus I made $50 on the pledge, whew!